As the USD is getting stronger than JPY, this pair is affected by the US New Home Sales report. 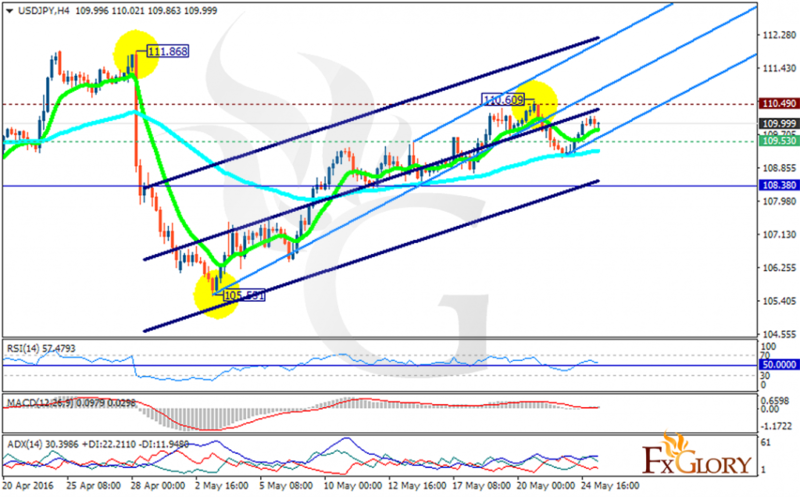 USDJPY ended the bearish trend yesterday and moved with bullish bias but it fell again today morning. The pair is finding support at 109.530 with resistance at 110.490 which both lines are above the monthly pivot point at 108.380. The EMA of 10 is moving above the EMA of 75 suggesting the current price growth. All indicators are signaling buy opportunity. The MACD indicator is in positive territory, the RSI is above the 50 level and Stochastic is showing strong buyers. It seems that this pair is going to climb up the ascendant channel within Andrews’ pitchfork. While there might be a pullback at any time soon, buyers can target 110.60 at the moment.